Kloeckner Metals UK Ltd, Group MRO Buyer – Up spec in cut protection and reduction in glove spend. Comprehensive site surveys were carried out at the Blackburn, Leeds, and Westock sites where several products were trialed by workers handling and craning large steel columns and beams into place and loading sharp steel rolls. The 50-5121 cut level E foam nitrile palm coated glove with thumb reinforcement was selected. Based on feedback from staff it delivered the best fit, durability, and handling performance with most gloves lasting 2+ weeks and some still in use at the end of the trials. 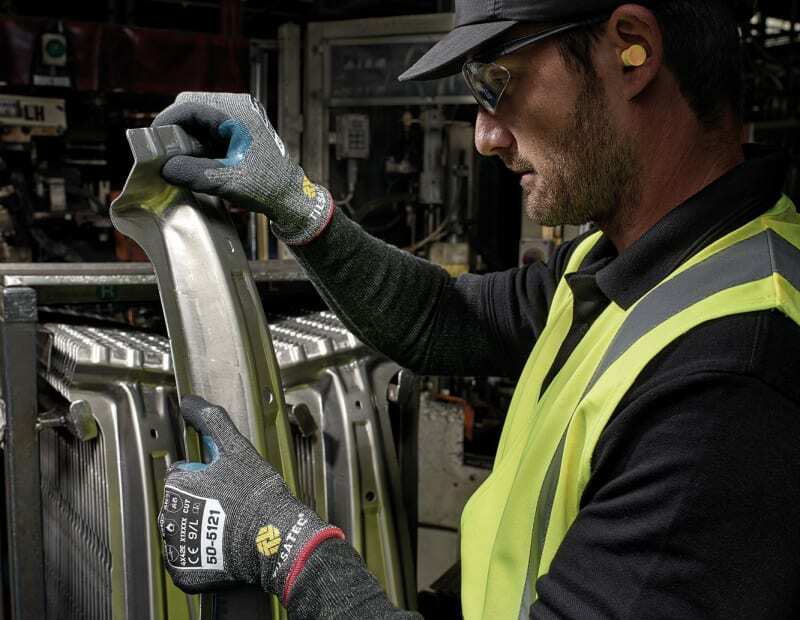 The glove was slightly higher cost than the cut level 3 previously being used, but the cost in use benefit showed Kloeckner they could reduce their annual costs on hand protection by over 33% as the 50-5121 lasted x2.5 longer on average. Accident rates are reduced and operatives are happy to wear a well-fitting, breathable, high performance glove, which they now want to look after and not just throw away. The glove is being rolled out across more Kloeckner sites and put into vending where further cost in use savings can be made across the group. Another area Kloeckner wanted to improve the level of hand protection was for drivers and machine maintenance staff. They needed liquid repellency in a glove that was light and dexterous, which still delivered the high level mechanical protection they needed when loading and ratcheting raw steel product. The 55-5123 glove met their needs perfectly and meant they no longer had to keep taking their gloves on and off to do different tasks as the 55-5123 is light enough to not reduce flexibility or tactility. 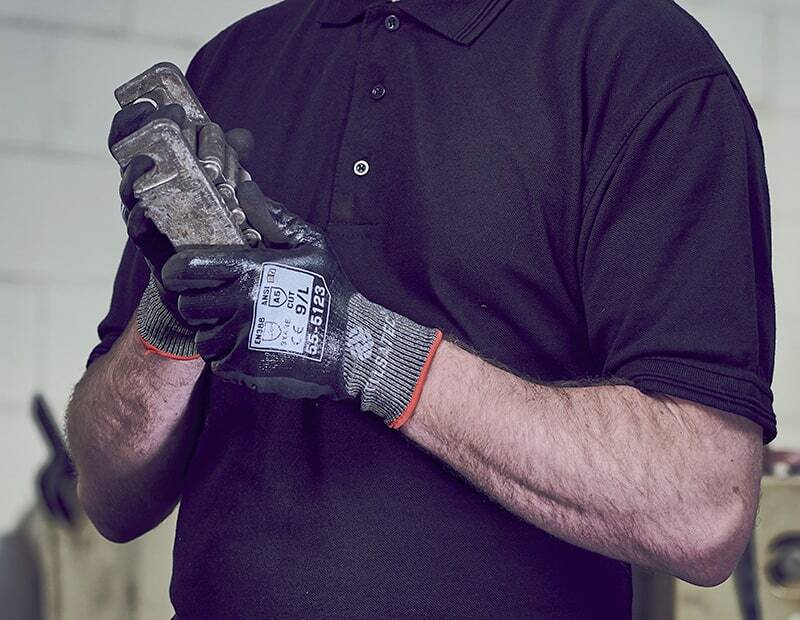 If you are looking to rationalise or review your current hand protection program, you can request a free on-site trial: trialrequest@tilsatec.com and we’ll be happy to help.